Once you make contact with Dr. Katie Rose at Nature Medica, we will answer whatever questions you might have about how our clinic works, what services we offer, and try to make sure that you have all the information you need to make the decision to embark on your health journey with us. 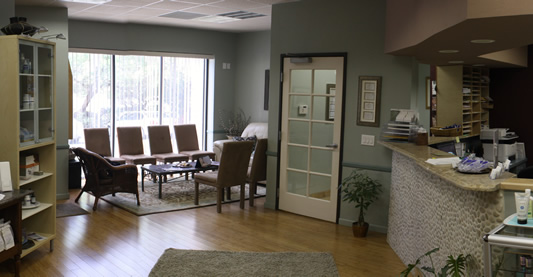 When you schedule your initial appointment, we will provide you with new patient paperwork. Our administrative staff can either email, fax or mail this to you, or you can fill it out online through the link on the website. We will also collect a deposit to hold your initial visit. This deposit goes towards your first visit and is fully refundable should you need to reschedule within 24 business hours of your appointment. We ask that you complete the new patient paperwork prior to arriving at the clinic, or arrive 20-30 minutes before your scheduled visit to complete the paperwork, as it is quite comprehensive. If you are consulting with Dr. Rose on infertility, it is advised you bring your partner to your first visit. During your initial visit, you will spend 45 to 60 minutes with Dr. Katie Rose. During this time, she will go over your intake paperwork with you, gathering information on the history of your health, reviewing previous lab work done, getting a clear picture of your current symptoms, and previous treatments and therapies you have done. She will also go over the medications and supplements that you take and perform a targeted physical exam. Once Dr. Rose feels that she has all the information she needs, she will give you her clinical impressions of your case, and how she would like to approach your specific situation. If she feels that lab work is necessary, she will outline what she would like to run and the process for doing that. Finally, Dr. Rose will make any recommendations for your beginning stages of treatment. This may include dietary modifications, lifestyle factors, herbs and/ or other supplements. While sometimes comprehensive treatment regimens depend on lab results being in, she will usually get you started on a plan to get you feeling better right away. Follow up visits are anywhere from 2-4 weeks after the initial, depending on pending lab work. These visits are shorter – typically around 30 minutes. During follow up consultations, Dr. Rose will ask you how you have been feeling since the previous visit; how things might have changed with the treatment plan; and an outline of what symptoms are better, which are worse/ new symptoms, and which are unchanged. Having lists prepared for the doctor is tremendously helpful – medication/ supplement lists, symptom lists and a list of questions you may have for her. Should you and Dr. Rose decide that hormone replacement therapy (thyroid, estrogen, progesterone, or testosterone) is the appropriate next step, thyroid or hormone labs will usually be repeated 4-6 weeks after starting replacement to assess your levels. Often times a follow up may be recommended 2 weeks after starting hormones to ensure that you are adjusting well and not experiencing any adverse effects. Once levels are within optimal range, and you are feeling great, follow-ups and repeat labs will typically be spaced at 6 months to 1 year. When using testosterone, which is a DEA controlled medication, lab work and follow-up is required minimally every 6 months to obtain refills. In many cases of testosterone replacement therapy, Dr. Rose will require more frequent monitoring if a patient has risk factors for heart disease, prostate health issues or mental health issues. If you and Dr. Rose decide that acupuncture is the best way to begin treatment, you will likely be scheduled sooner than the 2-4 week time frame. Initial acupuncture visits involve 15-20 minutes in discussion with Dr. Rose to assess the underlying patterns being treated and 25-30 minutes resting with the acupuncture needles in place.